Finely slice the cabbage and add to a pan with the orange, spices, vinegar and sugar. Simmer until soft and the liquid is reduced. Peel the parsnip, then peel into thin slices; dust with salt and pepper. Half-fill a pan with oil and heat. Deep fry the parsnip until crisp and golden, then drain. Next, put the wine in a deep pan with the peppercorns and rosemary. Bring to a gentle simmer and add the venison steaks; simmer gently for 7-10mins for mediumrare, 10-12 mins for medium-well. When cooked, remove the meat and allow to rest. Boil the sauce and reduce until it coats the back of a spoon. Strain. 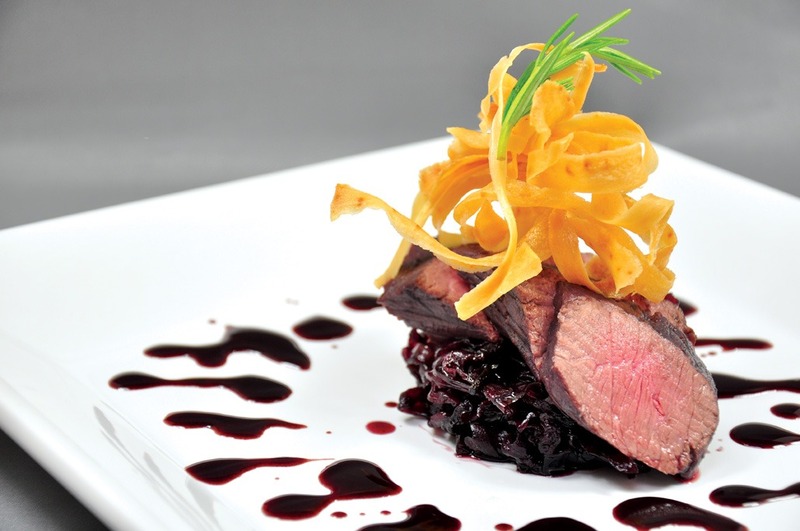 Slice the venison and serve on some braised cabbage, with the crisps on top and some sauce drizzled around neatly.